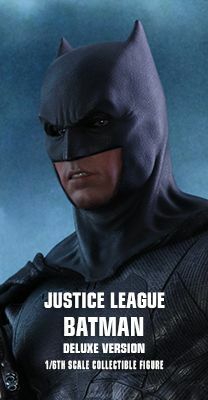 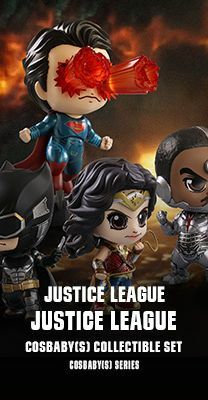 Coming to theatre next month, Justice League from DC Comics has become a worldwide trend prior to its release! 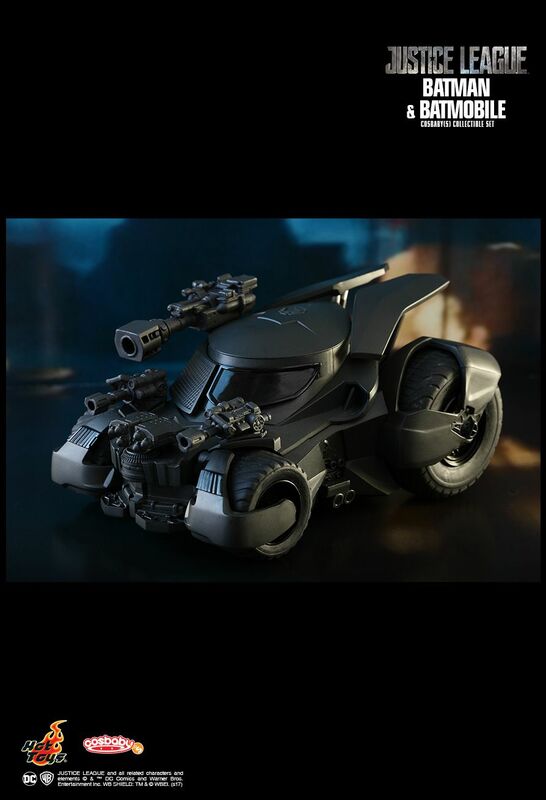 Apart from the rest of the amazing Justice League team members, fans are also interested in checking out the latest super cool-looking Batman and Batmobile shown in the trailer! 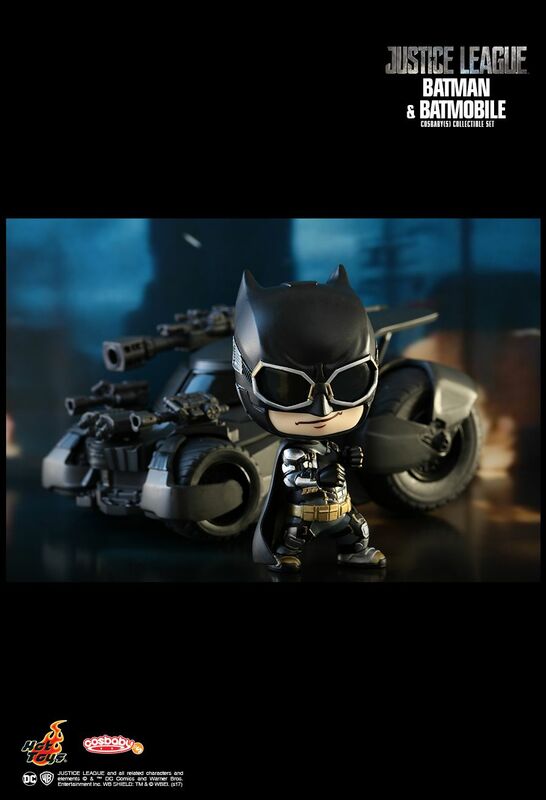 As Batman’s iconic vehicle, today, Hot Toys is thrilled to introduce the brand new Batman and Batmobile Cosbaby (S) collectible set from the long-awaited blockbuster Justice League! 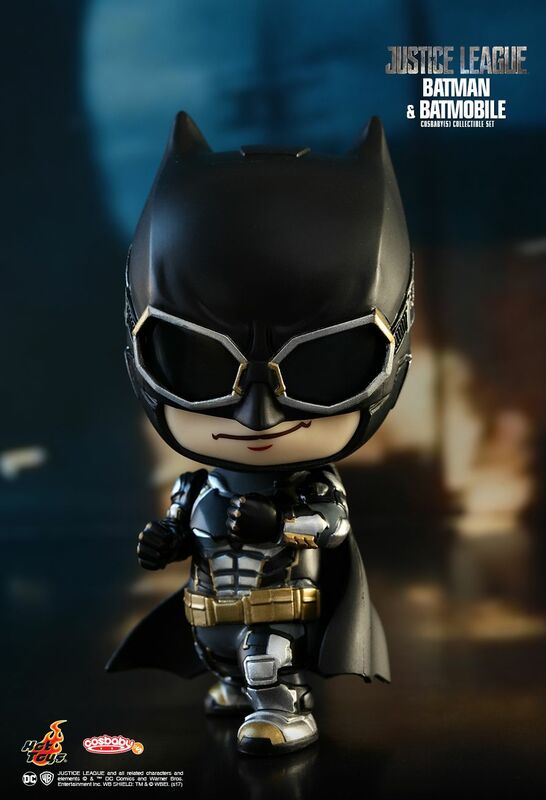 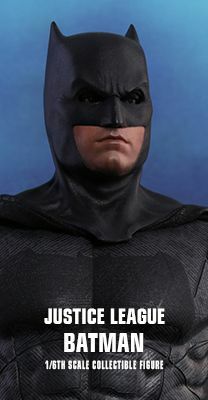 The Batman Cosbaby (S) stands about 10.5cm tall features a rotating head and dressing in his tactical batsuit. 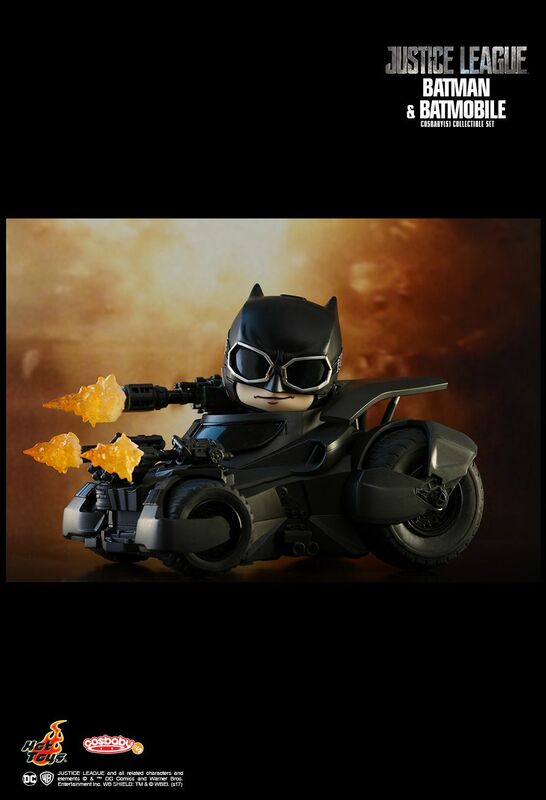 The fun part for this Cosbaby set is Batman can even be placed into the cockpit of the Batmobile! 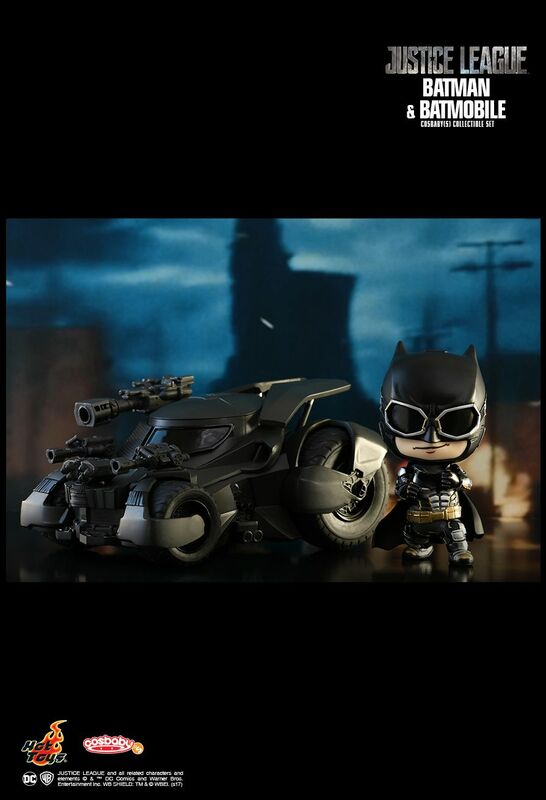 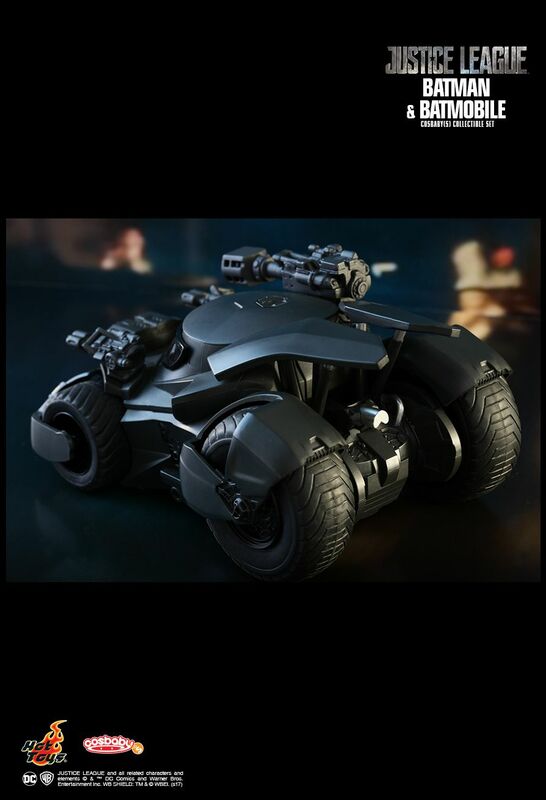 Measures approximately 9.5cm tall and 17.5cm long, the cool-looking Batmobile Cosbaby (S) features a matte-black painting and three firing effects that can be attached to the three cannons respectively. 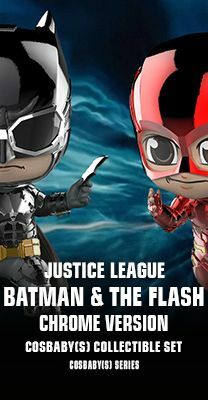 Pretty sure the Batman and Batmobile Cosbaby (S) collectible set will make a coolest addition along with the Justice League Cosbaby S) series! 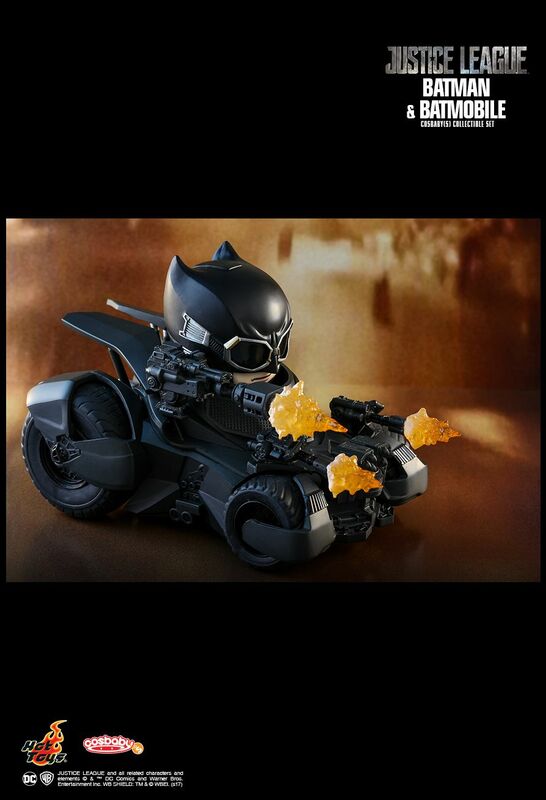 -	Batmobile Cosbaby (S) comes with three firing effects (attachable to the cannons on the Batmobile).